Free up traffic flow in the center of your master bathroom by choosing the stylish 60 x 60 CT combination tub. 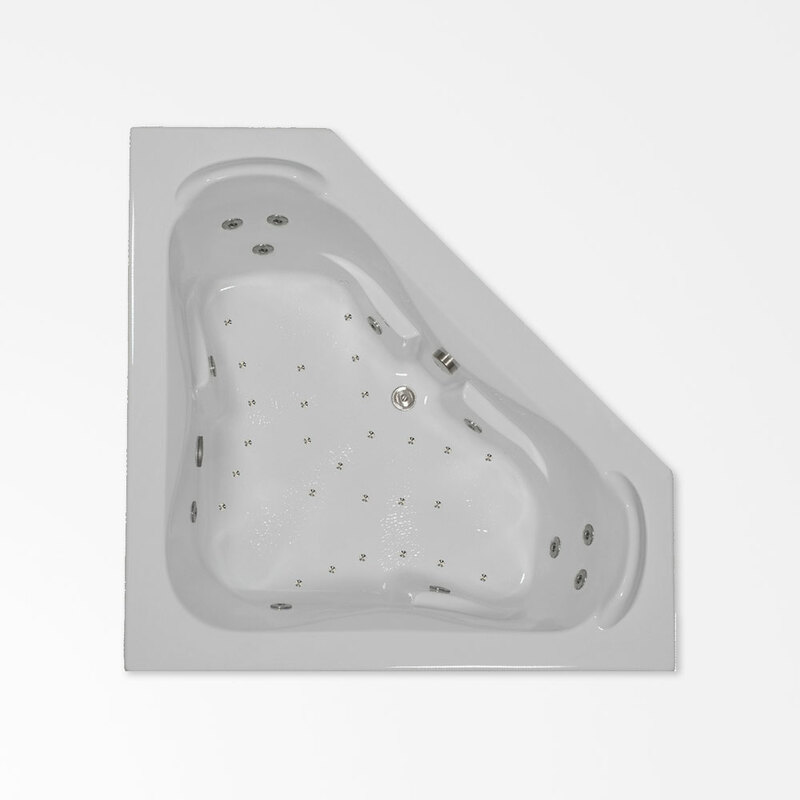 This tub tucks neatly into any corner of the bathroom, and its spacious well has plenty of room for you and your partner—five feet of length for each bather as a matter of fact. And the two of you will relax in comfort with all its built-in features: raised headrests to lay your head on, molded armrests to prop your arms against, and sloped backrests to recline against. Six whirlpool jets per bather ensure each of you receive hydrotherapy; three are installed in each seat for a vigorous back massage. Twenty-seven air jets are arranged in the floor to provide stimulating bubble action.